Formed in 2008, Summerhouse Architects is an RIBA Chartered Practice with a successful track record working on a wide variety of residential and commercial projects. In 2014 the practice became a limited company and in 2016 we moved into our purpose-built studio at Mill Farm, Guisborough, allowing us to expand. From transforming a derelict Grade II listed barn in a National Park to the renovation of a disused industrial unit to a large new-build family home, our clients can expect a quality service where design and attention to detail really matter. 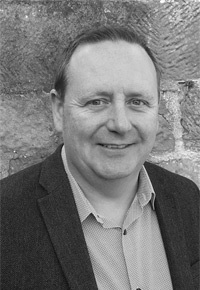 Since graduating from Edinburgh University in 1986 and becoming a registered Architect in 1990, David has gained experience in most facets of practice working at all levels of seniority from junior to partner in practices of various scales. As a Design Director at JM Architects in Edinburgh he led the feasibility team in design of large scale retail, office, leisure and education projects. 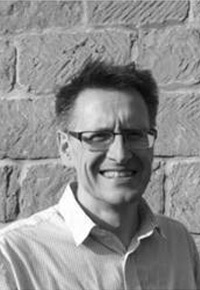 As a founding partner of Mill Design in Edinburgh he was involved in all of the practice's output until a family move to North Yorkshire where, as a senior architect at DKS Architects in Stokesley, he designed schools, houses, offices, leisure and residential developments. Suzie graduated from Edinburgh College of Art in 1990 with a B.A. Honours Degree in Commercial Interior and Furniture Design. 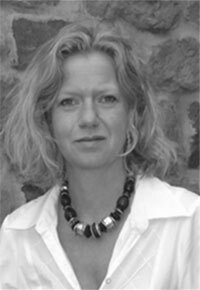 Between 1990 & 2007 she worked for architects in Edinburgh on a wide variety of projects from multi-million pound football stadiums and sports facilities to visitor centres and Michelin starred restaurants. Since moving back to the North East and setting up Summerhouse Architects with her husband David, Suzie has continued to develop her interest in conservation and listed buildings, working closely with local planners and conservation officers to assist clients to transform their properties. With over 20 years’ experience in the construction industry she has designed and taken many new build & refurbishment projects through from conception to completion. Christian is a senior architectural designer with extensive knowledge and experience gained over a wide-ranging 25 year career working with architectural practices, house builders, interior designers and planning consultants. Christian is involved in producing design work from small developments to complex master planning, seeing projects from inception and feasibility through to working drawings. Christian has a keen interest in 3D design and presentation work and producing schemes that go beyond client expectations.